I have just completed a new stained glass ghekko bench! My partner mixed the concrete with color added to give the piece a Mexican flare. The concrete is also reinforced with nylon mesh to add additional strength. The colors in the ghekko really come alive in the sun, as well as the dragonfly colors the ghekko is chasing. 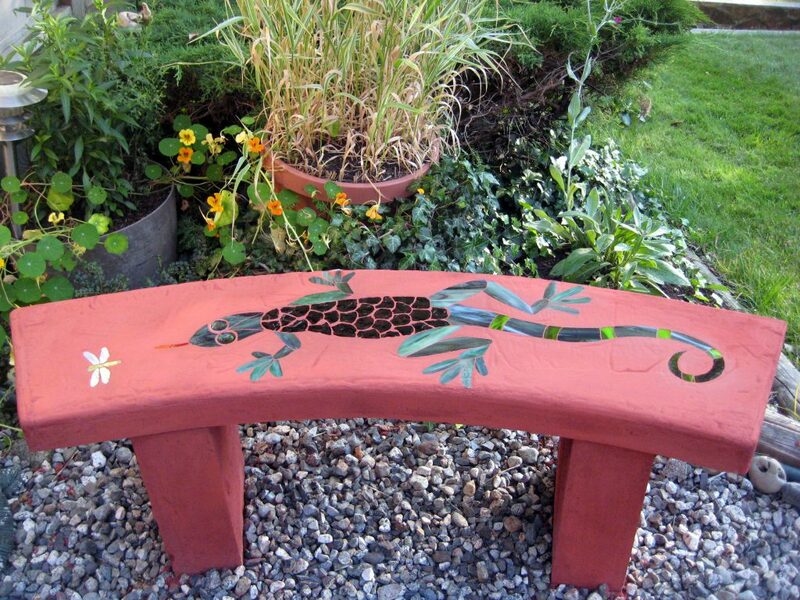 The legs holding up the bench are solid concrete so it is very sturdy and would add a real functional art to your garden. I could always create a table to go with the bench! !